Here are some tips to get your garden growing! Below you will find our tree planting guide as well as links to gardening info like bug guides, deer resistant plants and more! Can't find the answer you need? You can always come to us with your gardening questions. Bring us a sample of your problem plant or some really good photos and we can help you identify insect or disease problems! Use this tree planting guide to help you with your new trees! This guide has served us well at The Garden Center for over 30 years and is how our professional tree planting crew does it. Dig a hole large enough so that the root system has at least six inches of clearance on all sides. The root ball should be on a solid soil foundation, so don't dig the hole any deeper than the root ball. Plant the tree or shrub slightly above the surrounding soil, to allow for settling and increased soil. Carefully place the tree in the hole. Handle the plant with care as a broken ball of earth can mean a dead plant. Always remove any container before you plant. Backfill the hole, using only the native soil removed from the hole (do not use soil amendments when planting large shrubs and trees. Firm the soil around the plant. Water thoroughly to settle the soil around the roots and to eliminate any air pockets. Do not fertilize after planting. Wait until early in the spring to do this, and even then, go lightly. Heavy applications of fertilizer may burn and injure the root system. For most trees, staking is not recommended; however, if the tree trunk is not sturdy, use two stakes, one on either side of the tree, and give the trunk support for the first year only. Right after planting, water the tree in by filling the bermed basin with water. For the first week water the tree 3 times, soaking it thoroughly each time. Afterwards, during the growing season of the first year (March thru November) water the tree twice per week, soaking it thoroughly each time. The goal is to wean the tree slowly off of supplemental irrigation, and get the root system large enough for the tree to survive on natural rainfall. Bug Guide- a great source to help identify all sorts of bugs from moths to millipedes! 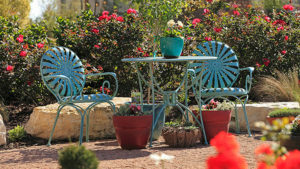 Butterflies of Texas- Over 50 Texas butterflies listed here, along with butterfly gardening info! Deer in the Urban Landscape- While no plant is deer proof, there are some plants that deer would rather not eat. In general, look for plants that have a heavy scent, gooey insides and thorny or rough texture. Oak Wilt Management- Does your tree have Oak Wilt or does it just need some love? Find out here! ASPCA Poisonous Plants List- Keep your pets safe! Know what's growing in your garden and what's safe to plant. List available for dogs, cats and horses! Drought Information from Aggie Horticulture- How to lessen the impact of drought on your landscape and garden.